A diva of the desert, the humble succulent has taken fashion and design landscapes by storm. The plant’s unique appearance lends an air of natural beauty to home décor displays, clothing, and jewelry, making the succulent a rising star in a variety of industries. 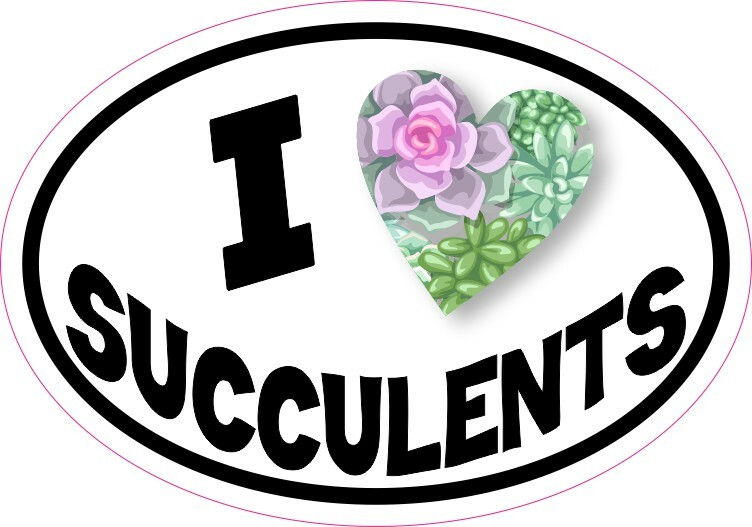 In this edition of The StickerTalk, join us as we rediscover the roots of the succulent’s obscure origins and eventual flight to fame! The succulent’s name is derived from “sucus,” the Latin word for juice, since the plants’ plump leaves store the sap and water that allow it to thrive in otherwise hostile environments. Because succulents were first grown in sweltering portions of the globe such as Africa and South America, these flowers naturally prove able to stand up to a variety of adverse conditions. While most succulents appear green in color, assorted hues including pink and yellow are additionally common. Succulent plants also showcase a layer of chalk-like residue on their leaves. Not only does this substance add a fashionable flair to an already prepossessing plant, but it helps defend the succulent from pests and overwhelming temperatures. The term succulent may actually refer to a number of plant species. Surprisingly taking root in the succulent family tree are both the snake plant and the asparagus. Additionally, some species of aloe and cacti carry the description of succulent.